We all have our personal experience to share, however your diary can be your saviour and mate during those period of personal catastrophy. How many times have you ever picked up a writing material to track and write about your daily activities? I guess it has probably been years now. While our android device goes everywhere with us, its a well-to do thing to make it a habit to quickly write one or more mini-notes during your day. By discovering a good journal app, you can simply leave a few words about your workout session, what happened at school or in the office during your day. Also Read: Top 10 Best Inspirational and Motivational Apps For Android. In weekends, you can write about all the fun you had walking your dog, meeting with friends, or being social with your family. Make your android device a unique travel diary, or road journal that documents your activities once you’ve the best diary app installed. It can be the daily activity log you always have wanted. Make one of those apps your personal journal and have fun reading it over in few year, and share a few laughs with your friends. Thus below are the best journaling or diary apps for android which comes with tons of innovative and awesome features. Journey is no doubt one of the best and most rated journaling app for android. Your journey of self improvement towards a better life can never be more fun without journey diary. While using the app, you can emotionally record your daily events and reflect on them. The app brings tons of innovative features and allows you to create photos, video, stickers with exclusive fonts such as Noval San for a more beautiful reflection. Apart from this, you can privately lock your secret diary with passcode and fingerprint. Word and character counts, and journey journaling app can help grow your life experience. Diaro can actually be a lifesaver. Its yet another journaling app for android to keep life moments and ideas always with you. The app is designed to record activities, experiences, thoughts and ideas throughout a day and sync data across all your devices. It lets you organize your created diary or journal entries or notes from the past in the easiest way. Diaro features a user friendly interface adapted for phones. While privacy is important, diaro unveils a security code which allows you to keep your entries private. You can attach or capture unlimited amount of photos and moreover change the UI color. Upgrading to the Pro version of diaro brings advance features and it’s ads free. Diary with lock brings all your memories back to life. It’s one of the feature packed and most downloaded journaling apps for android designed to make your own personal journal of daily events, appointments, secrets and feelings. The app brings an elegant look with personalized background color and you can change text size and font style. The user interface is designed to allow you to enter new notes quickly and easily. With this diary you can write all your private notes and secure them with a pin code or password. Moreover the app is easy to use and features an unlimited entries with an automatic reminder to write. Overall diary with lock is the perfect alternative for journey. Memoires is probably one of the best journaling apps for android. The app gives a way to quickly enter life moments, thought or notes. You can capture photos, audio or insert images from gallery. Memoires also automatically detects and attaches to a memo the location, addresses, weather and moon phases. It also accepts text and images from other apps. Memoires helps to keep all your records and images confidential by using password protection and strong encryption. While your thoughts flows, you can use emoticons, different fonts and rich text editor to write down your dearest moments. 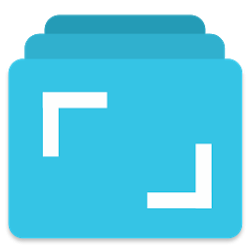 Overall, memoires brings tons of innovative features and it’s probably a must have. 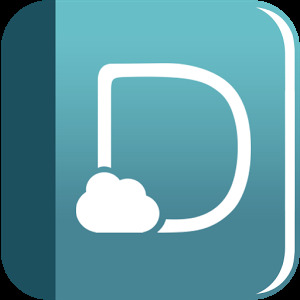 Diary with password or ​handy diary is yet another popular and innovative journaling app for android. It is a private diary with a secure lock password that allows you to protect your daily thoughts. All your secrets, your dreams and your memories can be organized and managed in this free app. You can fully customize the app and change the colours, the wallpapers and the fonts included in it. The app offers many emojis to add to your secrets, you can even enter several entries for a single day and organize them using categories. Handy diary allows you to add photos to your journal and change the background photo or background colour. Overall the app comes loaded with advanced features and customizations you possibly would fancy. 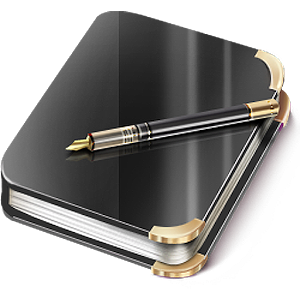 Keeping a journaling app on your android device can be lot’s of fun because you can convinently write down your thoughts without any hassle whatsoever. While we tried our best to provide you with the best diary or journaling apps strictly for android device, there are also tons of journal apps out there. But we fished out the best from the catalogue. Thus always make it a habit to write down your sad and wonderful memories and remember to safeguard them with password to avoid unauthorized users or prying eyes.